Ships tomorrow if you order in the next 23 hours 35 minutes. 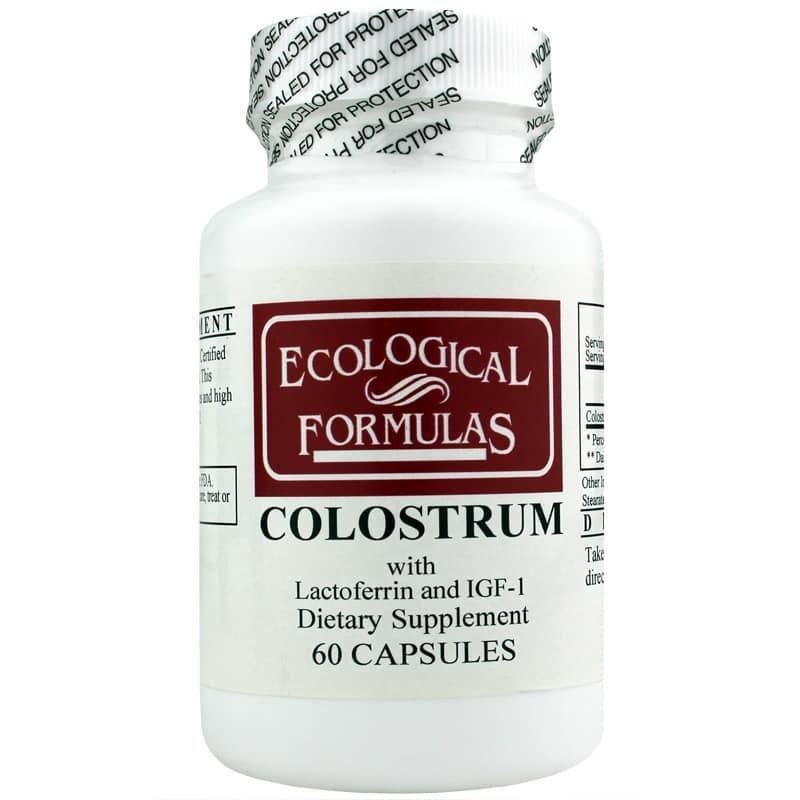 Colostrum from Ecological Formulas is derived from USDA Certified, family owned dairies of Grade A Cows. 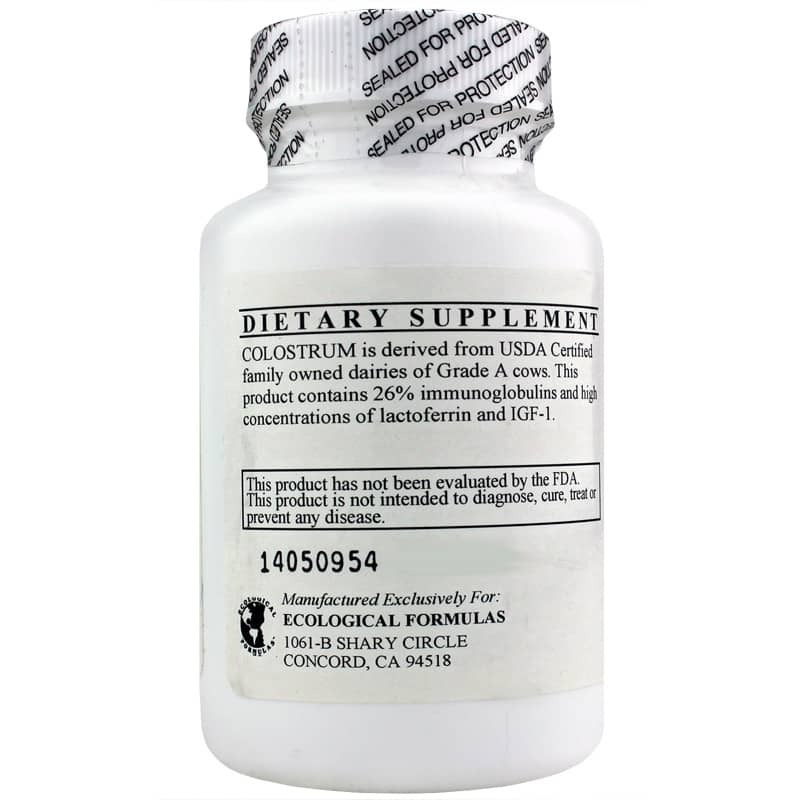 This product contains 26% immunoglobulins and high concentrations of Lactoferrin and IGF-1. This product is prepared through lyophilization which protects the delicate immunoglobulins and nucleoproteins from denaturization during the manufacturing process. Other Ingredients: Gelatin, Silicon Dioxide, Magnesium Stearate. 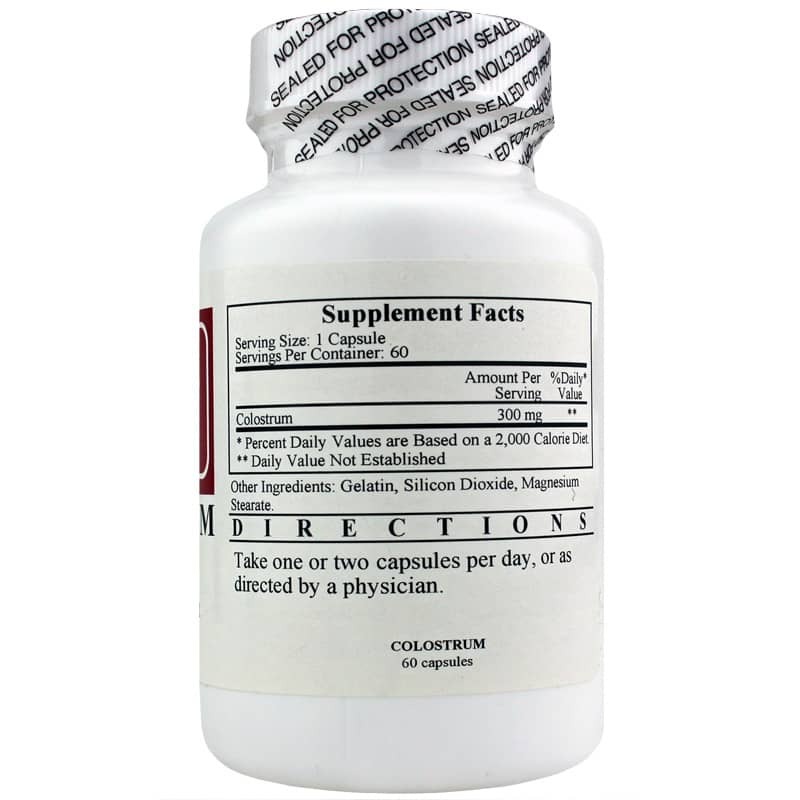 Adults: Take 1 or 2 capsules per day or as directed by a physician.